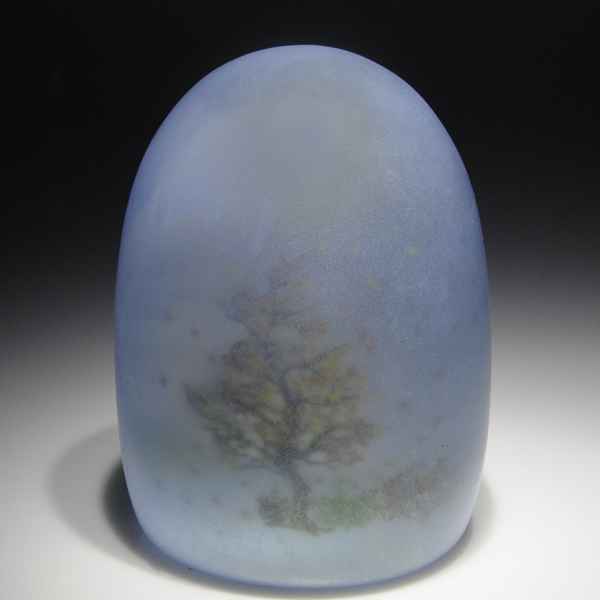 Alison Ruzsa 2016 "Deep Purple Dream" descending silhouette paperweight. 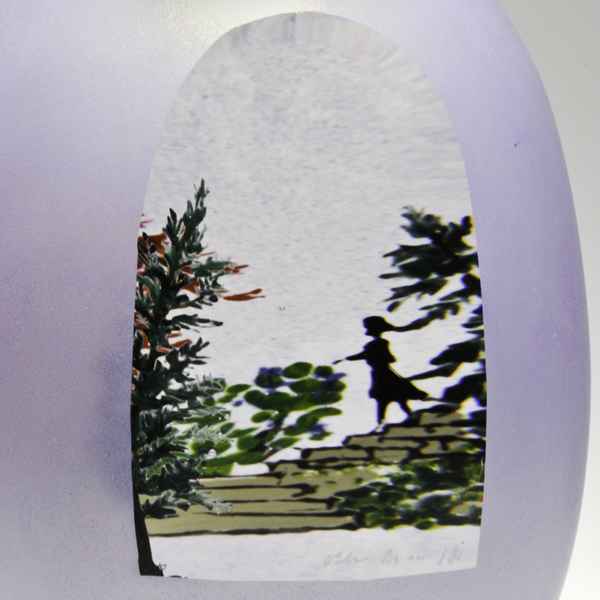 The silhouette of a woman walks down a staircase of stones as in a trance, amidst pine trees and a bright red fall maple, inside a light purple dome with an ached front window. Signed/dated. Height 3 3/8".